Vortarus Technologies delivers Excel add-in solutions for risk analysis, machine learning and engineering applications. The combination of features and cost provide unmatched value for risk analysis products. Quantify the spectrum of risk with Monte Carlo simulation. Identify factors that have the greatest impact on risk. Analyze sequential investments with decision trees. You don't have to leave Excel to use powerful predictive analytics and there's no coding required! Use your historical data to train machine learning models. Predict outcomes through classification or regression. Identify important variables that drive predictions. 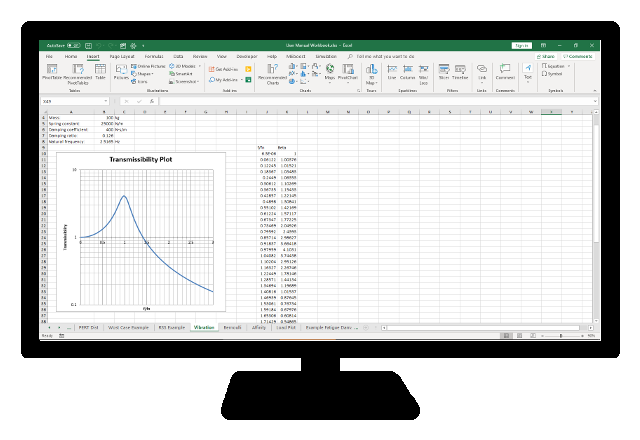 Mechanical engineering design and analysis within Excel. Easily generate many different mechanical engineering charts. Spectral loading analysis including rainflow cycle counting and cumulative fatigue damage. Mechanical design tools for sheet metal and tolerance analysis. Vaimal allows you to train and deploy machine learning models in Excel. Decision trees, support vector machines, neural networks, ensemble methods and so much more! 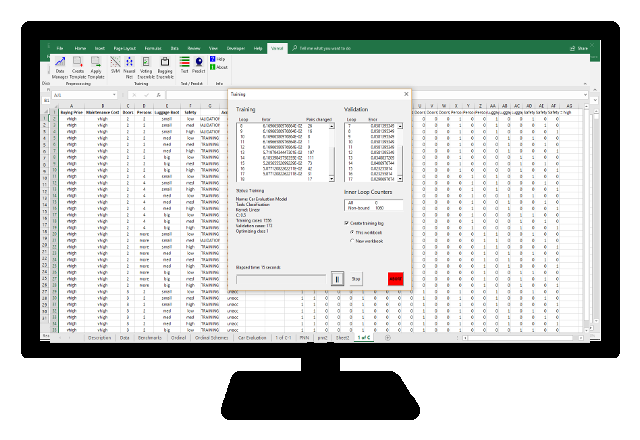 Simulation Master is an Excel add in that performs Monte Carlo simulation. Analyze risk, simulate a project schedule and much more! Mechanical engineering tools in Excel. Mechanical design, analysis, and charts. Build and analyze decision trees within Excel. A powerful decision analysis tool to take your strategies to the next level. Create a wide variety of diagrams in Excel ranging from simple mind maps to complex, data linked structures. Our philosophy is to build user friendly products at a price that allows justification even for occasional use. We strive to develop our products with the features needed to provide value that allows you to succeed. All products are tightly integrated with Excel in an environment that you are already comfortable. You can also easily share your results with colleagues. All products are sold as a permanent license, i.e. no recurring subscription fees. Support and documentation are often the most critical factors in the purchase of software. This is where you can be confident that your purchase is well supported and you have access to complete documentation, training materials and support. One year of support is included with each purchase. If you need support beyond one year, you can purchase it for a nominal fee, but you probably won't need it. Our products are trusted and used worldwide. You can be confident that we are the software partner you're looking for, and will be there to make sure you succeed.